I’m delighted to be welcoming back lovely Jan Brigden, author of As Weekends Go to Linda’s Book Bag. I have previously interviewed Jan and you can read that interview here. As Weekends Go was published by Choc Lit on 4th December 2015. As Weekends Go is available on Amazon UK and Amazon US and by following the publisher links here. As an aspiring romantic writer myself, I’m delighted that Jan has agreed to write a guest post all about her research process today. What if your entire life changed in the space of a weekend? 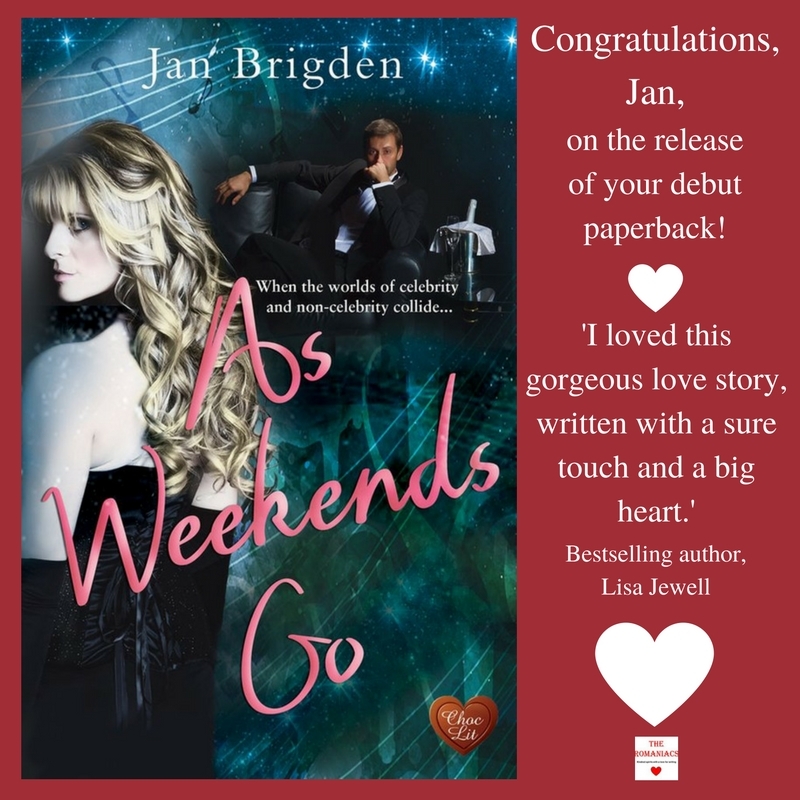 The fireworks are being lit, the cake is coming out of the oven and the glasses are overflowing with pop as The Romaniacs celebrate the paperback release of our lovely Jan Brigden’s As Weekends Go. Vanessa: HUGE congratulations, lovely Jan. I hope your day is filled with cake and champagne – I can’t wait to add the wonderful As Weekends Go to my Romaniac shelf!